Paperworld will feature flexible office concepts from Wilkhahn. A flexible office – for an agile body and mind. With a headline like “Be a digital nomad”, even Germany’s Spiegel magazine is devoting its current cover story to the major trends prevailing in the world of work today – mobility and flexibility. By while Spiegel magazine’s journalists are considering this development’s impact on society, this year’s Paperworld trade show for paper, office supplies and stationery is showing practical solutions and settings to make working lives more flexible. 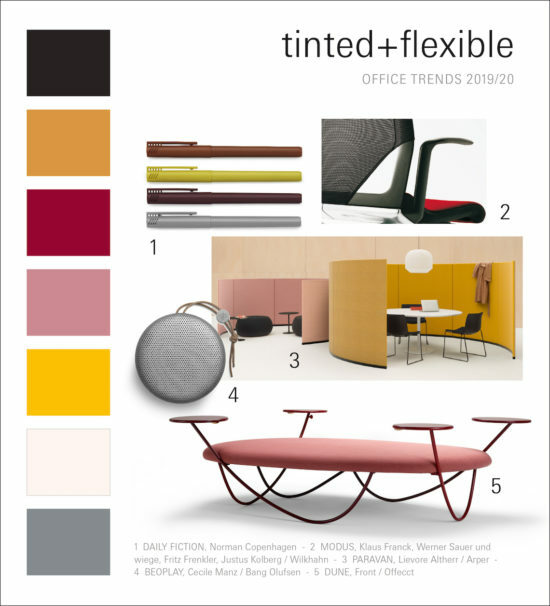 Similarly to last year, the event has an interesting programme of accompanying events to the special Future Office show, which is all about flexibility in 2019. Because what makes an office a flexible one? It’s not just the mobile equipment alone, even if companies are investing huge amounts of money in it. It’s much more about flexible working hours and workspaces plus furniture that can adapt to contemporary working practices. These are becoming increasingly diversified because if a static workplace becomes less attractive – particularly to people on the labour market with high potential – the spaces available need to be all the more versatile: chill-out zones, places people can withdraw to, traditional conference rooms or spaces for informal meet-ups cover a wide spectrum of different approaches to work. From 26 to 29 January 2019, speakers from the worlds of architecture, interior design, facility management and retail will highlight various aspects of the flexible office at the special Future Office show. In partnership with World-Architects, publishing house Nehring and others, some of the speakers invited are Kilian Kada (kadawittfeldarchitektur), Martin Henn (HENN), Anika Hülser (HPP Architekten) and Sabine Krumrey (brandherm + krumrey interior architecture). And Wilkhahn will be there again too. 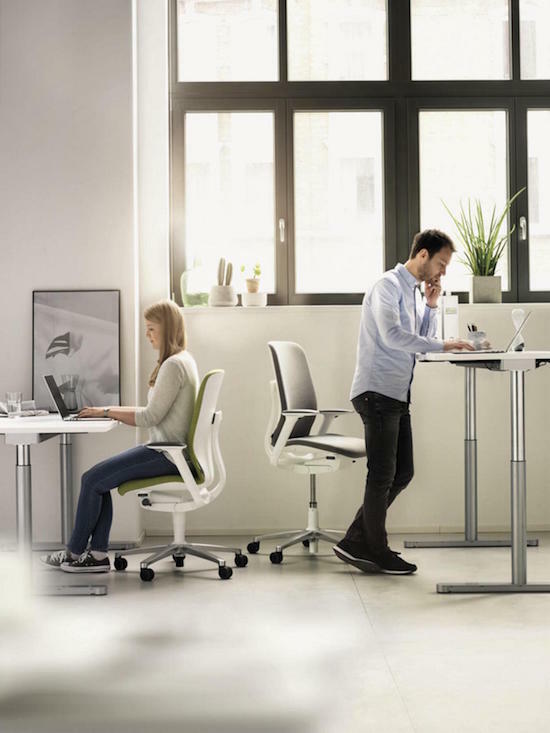 On Saturday, 26 January 2019 from 1 p.m., Burkhard Remmers (Wilkhahn’s international communications director) will be talking about A Flexible Office – for an Agile Body and Mind. And visitors to the Wilkhahn stand will be able to try out the pop-up office and pop-up workshop themselves and discover the enormous flexibility of the pioneering concepts. With the carpe momentum (seize the moment) motto in mind, professional settings for flexible working environments can be created in no time. For more detailed information click here. Click here to see the full agenda of the special Future Office show at Paperworld 2019. 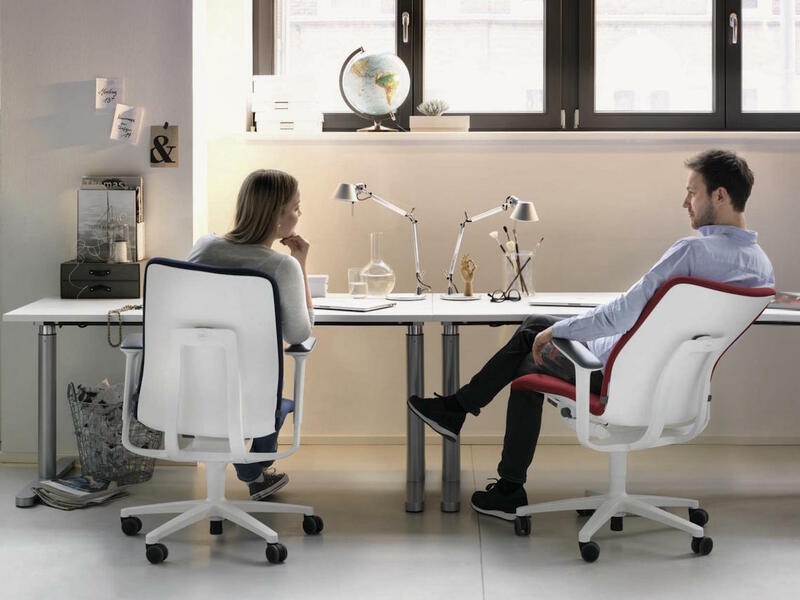 Wilkhahn’s office task chairs are flexible and dynamic thanks to their free-to-move concept, which allows people to move in three dimensions in any way they like while sitting. The AT chair with its ESP capability is also ideal for a sitting-standing approach. Wilkhahn’s Timetable and Confair table ranges are benchmarks for versatile and flexible conference settings. The Timetable Lift and Timetable Shift are new products in this segment.